Kathy and Ken Lindner are committed to improving the quality of life and educating others about sustainable agriculture and family farming through respectful production of grassfed and grass-finished bison. Their book, Standing Into The Storm, shares their journey away from industry and into grassfed bison ranching. I met them a few months ago at the Santa Monica Farmers Market, and quickly realized that Lindner Bison is “the real deal” when it comes to humane, ethical, and sustainable agriculture. When Kathy handed me a leaflet of their “15% Steak Rule,” it was eye-opening to me — and I immediately wanted to share it with you. You can find them at farmers markets in the Los Angeles area and on Twitter and Facebook. 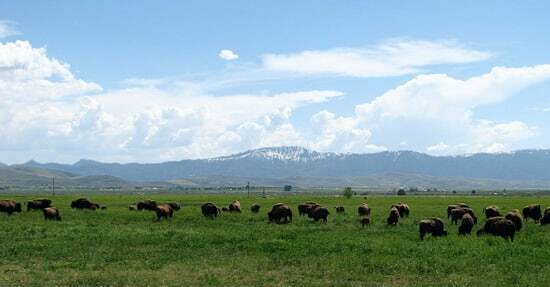 Lindner Bison’s California Grassfed Bison® – Bringing them Home! Most people buy their meat from supermarkets. When these stores receive meat, rather than dealing with hanging halves or whole carcasses, the meat arrives already cut into sections that no longer resemble an animal. Instead of a knowledgeable butcher behind the meat counter, there is a portion cutter and/or packager. This is far more cost-effective for the store and saves them money by not having an actual butcher at each store. To many people, “carcass yield,” or the percentage of meat cuts available from a single meat animal, is an entirely new concept. As a result of the high-volume, high-speed, commodity feedlot model of meat production in place today, many of us are conditioned to having any quantity of prime cuts – usually steaks – that we want, pretty much whenever we want it. Rarely, if ever, do we have to deal with the fact that a single animal has only so many steaks or roasts to give. 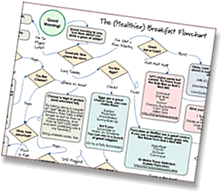 Within this model, few of us are given the opportunity to consider the less commonly known cuts or learn how much of any particular cut comes from a single carcass. For most of us, the parts of an animal available in stores are pre-selected for us, based on corporate profits and overall efficiency. Store customers are able only to buy from these prescribed cuts. Following an epiphany about the importance of realigning our activities with our core values, we sprang into action and created informational materials about who Lindner Bison was and what our values were. Soon we posted our story, Sustainable Appetite, Sustainable Passion [PDF]. We created a separate handout called What’s in a Word? [PDF] that offered definitions of terms such as “grassfed,” “free-range,” and “pastured,” as well as a broader definition of the word “sustainable.” Both of these writings encouraged customers to adopt a sustainable appetite beyond just steaks in their home menu planning. We also created The 15% Steak Rule: Sustainable Menu Planning for Carnivores with a Conscience. Listed here were the different cuts of meat that can be obtained from a carcass, along with typical yield percentages for each cut. For example, as the title implies, steaks are usually only 15 percent of the yield from an entire carcass. One customer at a time, we began educating people about carcass yield and the less common cuts such as tongue, tail, and all the choices in between, or “nose-to-tail.” In this way, we began to further distinguish our meat from the standard supermarket or buying club commodity meats. The adage “You get what you pay for” may never apply more than it does today concerning U.S.food production and 100% grassfed bison meat. We continue to appreciate that what we choose to eat defines, in large part, how food is produced and how that food production affects us, the animals and the earth. As new customers discover humanely raised 100% grassfed bison meat and a new price structure, we enjoy teaching that it’s not necessary to spend a lot of money for this meat if you don’t want to. Proudly and sustainably, we practice nose-to-tail eating and our product list reflects this. Lindner Bison seeks to honor the gifts of each animal by wasting nothing. In this way we show respect, appreciation, and gratitude. Though Lindner Bison has unlimited access to steaks, we generally eat them on a quarterly basis or about every 3-4 months. How can we ask our customers to eat sustainably if we don’t? When hungry for a steak, we enjoy our wonderful cubed steaks (aka minute steaks) or other selections from the roast, ribs, or burger categories. All are delicious and have higher yields. Typically the higher the yield, the lower the price, so this is an added benefit. Our 15% Steak Rule is this: On average, only 15% of the carcass is steaks. When we practice sustainable eating, this means our menu is in proportion to the carcass yield percentages. Planning a sustainable menu based on carcass yield creates a shared new connection between customer/producer, the animals, and the earth. Another plus is that sustainable menu planning supports and encourages small producers like Lindner Bison, and the small meat processors who help them stay in business. When everything is used, there is less waste and fewer harvests are necessary – in this way, we can all make a positive difference! I’ve never eaten bison and would love to try it. Thank you for sharing your story. Cheryl, bison meat is so wonderful. At your convenience, please us an email and we’re happy to send a list of the farmers markets where we sell. We’d love to have you for a new customer! I’ll add my vote for bison meat! There is a ranch nearby that sells fresh bison at local groeirces and at the farmer’s market during the summer. The flavor is wonderful and it lower in fat than beef. Delicious! Kathy & Ken, I will have to admit that you are right. I have never considered how much meat is available before. Thank you for sharing your knowledge and pointing out how much we carnivores waste. In a sustainable, unprocessed diet, it is very important to consider what we have at our disposal.I am definitely more aware! Well, those of us who’ve never heard the word “budget,” maybe. For quite a few years, my parents would buy an entire ‘beef’ (sometimes a steer, once a dried-up milch cow from a friend – wonderful flavor but far more stew meat than steak; she was no ‘tender young thing’ anymore!! ), have it cut up, and freeze it. This was wonderful, in my opinion: Stew is one of my favorite winter dishes, and it SEVERELY limited the amount of liver and kidneys (my LEAST favorite meats, altho Dad liked both) available! Thanks – I hope I am able to visit, some day. I’ve had bison meat, and found it delicious! We don’t eat a lot of beef, right now, because I’ve driven by one too many feed lots, and am in complete revolt – that “cheap” hamburger just stopped tasting good. I was afraid, after I posted, that my “budget” comment might sound a little snide – I didn’t mean it to! Absolutely no worries! We completely agree about feedlots-how can anyone NOT agree with you?! We finally made a pact with ourselves not to look away when we drive by. We KNOW it can be better because we’re doing it and the animals deserve that and more. 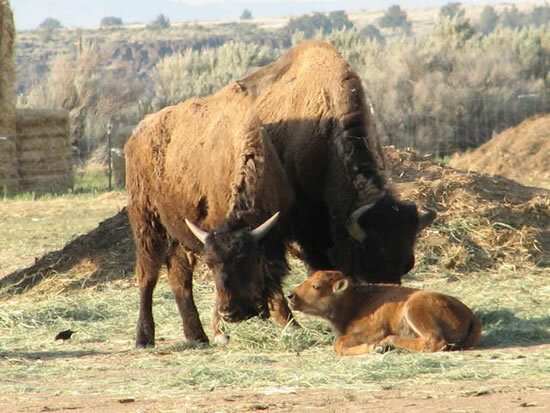 We raise only 100% grassfed bison, as Nature intended; no corn, grain, chemicals, drugs. It’s more work, but it’s so worth it to reconnect with our natural life cycle. Unfortunately about 80% of all bison are now being put in feedlots and we’re working hard to change that by creating a demand for 100% grassfed bison. 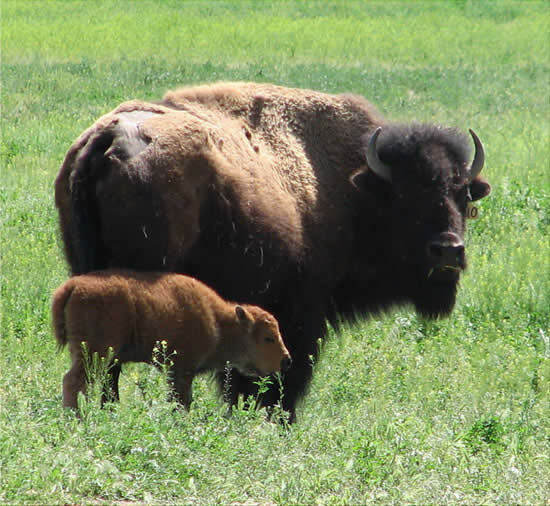 Also, just FYI, Lindner Bison was the 2nd bison producer in the country to receive the coveted Animal Welfare Approved certification, renewable yearly. They do all species for free so money can’t be a factor! For more info, visit animalwelfareapproved.org. I have never thought about the sustainability of beef or any animal until you posted this. Thank you for sharing. Until recently I never realized how many different cuts there are until we purchased an entire beef. There were cuts I’ve never worked with and some I’ve never heard of. It has certainly forced us to try new things. Great article! Very thought provoking. We are not big steak eaters at our house as it is a more expensive cut. But, keeping that choice down to 15% of our menu is a number that is attainable for our family. You have definately changed this family’s eating habits!